Save 5% – 64% On All Dental Services – Braces, Dentures & Implants. No Waiting Period, Pre-Existing Conditions Welcome. Entire Household Is Covered. Get Covered Immediately! New – Get Help With Your Medical Bills! Only $24.95/month for entire household. The AmeriPlan® Dental Plus program gives you immediate savings on Dental, Vision, Prescription and Chiropractic services. 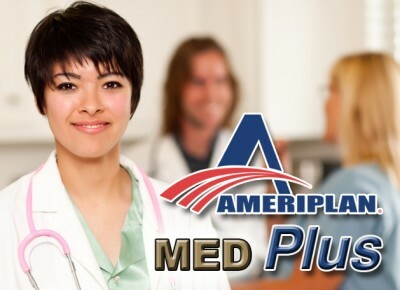 The AmeriPlan® MED Plus program gives you 24 Hour Access to a Doctor by phone or e-mail and immediate savings on Prescription as well as Hospital Advocacy and Ancillary. 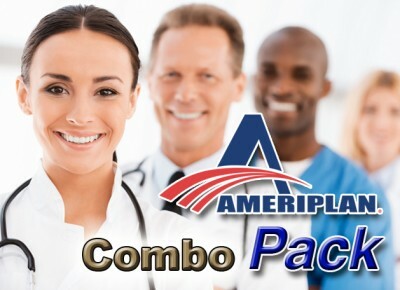 The AmeriPlan® Combo Pack program gives you immediate savings on Dental, Vision, Prescription and Chiropractic services and the AmeriPlan® MED Plus program gives you 24 Hour Access to a Doctor by phone or e-mail and immediate savings Prescription as well as Hospital Advocacy and Ancillary. Feel free to call us with any questions you may have. We can also take your application over the phone! Excited to be able to afford my daughters braces now… I just signed up with them ( Ameriplan ) today. Fast response. Excited to be able to afford my daughters braces now. AmeriPlan saved me a total of $3,432.00 on my twins’ braces! As soon as I was a member with AmeriPlan… our orthodontist immediately honored the discounted AmeriPlan rate for my twins, reducing my cost now to $2,921.00 per child: a $1,716.00 saving per child! No kidding, I saved 55% on two dental crowns. Awesome! Get the BEST Dental Discounts in the industry – only $25 per month! 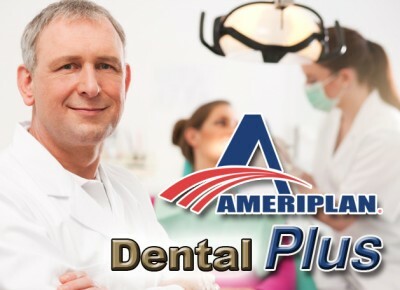 AmeriPlan® is the premier Discount Medical Plan and Discount Dental Plan Organization in America. Helping families with their medical and dental expenses since 1992, AmeriPlan® helped its members save many millions of dollars and will help even more people, now that access to the network is free. Individuals who become AmeriPlan® Members can enjoy additional advantages even if they aren’t insured with anybody else. Save up to 64% on braces – even for adults!